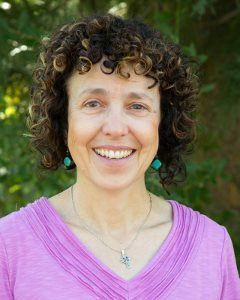 Sheryl Trainor is an experienced retreat leader and spiritual director. Any woman seeking to deepen her spiritual path is invited to a retreat from 9:30 a.m. to 3 p.m. Saturday, April 27, at Buttermaker’s Cottage in Western Gateway Park, Penn Valley. Cost is $25, with lunch provided. Sheryl Trainor – an Episcopal lay minister for two decades, a spiritual director and long-time occupational therapist – will share the joy she finds in “listening and looking for the Spirit’s presence in life.” Her theme will center on the “tapestry of love” that God promises to weave around all people. The retreat is sponsored by PEACE Lutheran Church Women, which offers spiritual support year-round in small-group meetings, service projects and special events. PLCW is an outreach of PEACE Lutheran Church, in Grass Valley. Trainor grew up as a Roman Catholic, and she still feels inspired by the spirituality of St. Francis of Assisi. Her professional life provides support to children with disabilities and their families. Her spiritual calling led her, nearly a decade ago, into an intensive, three-year formation and supervised direction program through Bread of Life Center, a Christian retreat and training facility in Sacramento. “I enjoy the intersection of psychology and spirituality,” Trainor writes, and emphasizes her ecumenical and multicultural approach. She hails from Placerville, Calif.
During this nurturing day, women will enjoy the comfortable fellowship of sisters walking a spiritual road. They’ll have the opportunity to reflect on how they can approach the conflicts and problems of their daily lives with the courage and inspiration that comes from that perspective, said PLCW representative Sally Smith. All women are welcome. Call (530) 273-3051 for more information.